Lord of the shoe Po-Zu has announced the latest addition to its official Star Wars range of ethical footwear in the form of the Kylo Ren sneaker. The Kylo Ren high-tops, which are available to pre-order now for a modest sum of 69 Republic credits (make that £69 in the Outer Rim Territories), sport a youthful, vegan design that will almost certainly help you step on over to the dark side, with the temptation of an organic cotton canvas, coconut husk and natural latex memory foam foot rest, and Fair Trade rubber soles proving to much to resist. The Kylo Ren sneakers are part of Po-Zu's (a Sri Lankan maker famed for its ethicality) unisex selection of Star Wars footwear as well, meaning that all those deep blacks and moody temper tantrums need not be restricted to young men, either. The Po-Zu Star Wars range has been running for a while now, too, and as such features quite a diverse range of sneakers from a galaxy far, far away. For example, these low-cut Porg sneakers are Yoda-level awesome. As such, we're pretty confident here at T3 that if you like Star Wars and are partial to an ethical shoeing every now and then you'll find something to tickle your fancy. The Kylo Ren high-top sneakers will ship at the end of August, 2018, with global shipping available. 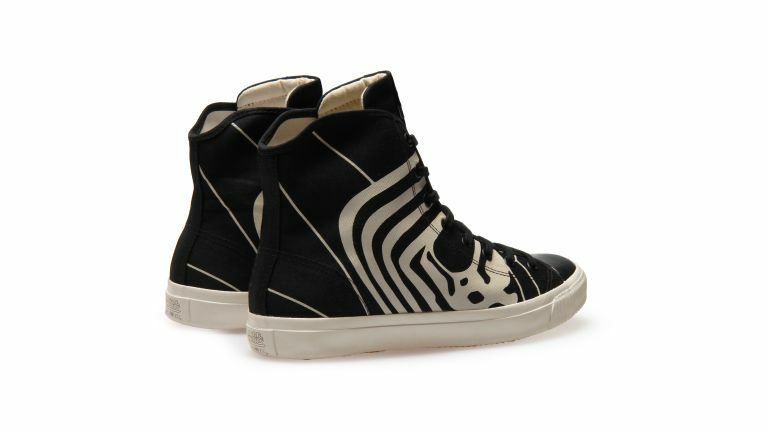 For more information about the Po-Zu Star Wars range of shoes then check out the maker's official website.